At a glance, Ford Expedition styling conveys the best of what a full-size SUV can offer – remarkable comfort and capability with an upscale attitude. Thanks to its modern lines and on-point styling details, the Expedition looks as premium as it does capable. 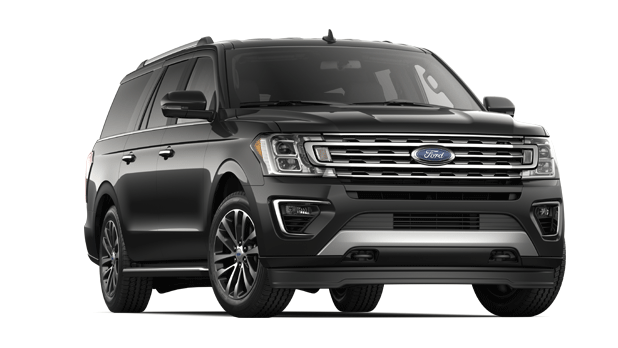 From its confident grille and aluminum-alloy body to its sculpted profile and sleek wheel designs, the new, completely redesigned exterior of Expedition makes a bold yet luxe statement at every turn. It’s a design that also speaks volumes about what you’ll discover inside: seating for up to eight occupants, plus loads of cargo volume. Confident performance meets a comfortable ride. Ford engineers made the 3.5L EcoBoost® the standard engine because they knew how important performance is in this full-size vehicle. Ride comfort too. That’s why they gave Expedition an independent rear suspension. Ride quality and control are enhanced even further with a 10-speed automatic transmission. You choose a full-size SUV for all the added capabilities it offers you and your family. Accommodate up to eight passengers, in comfort. Haul lots of cargo when called upon to do so. When it comes to delivering the capability you need, the Ford Expedition is the full-size SUV that can do it all.